There are three shuttle routes whenever the 1 is oos from 242 to either 137 or 96. The first one runs between 242 and 207 via Broadway. The second one runs on St Nicholas between 168 and 191. 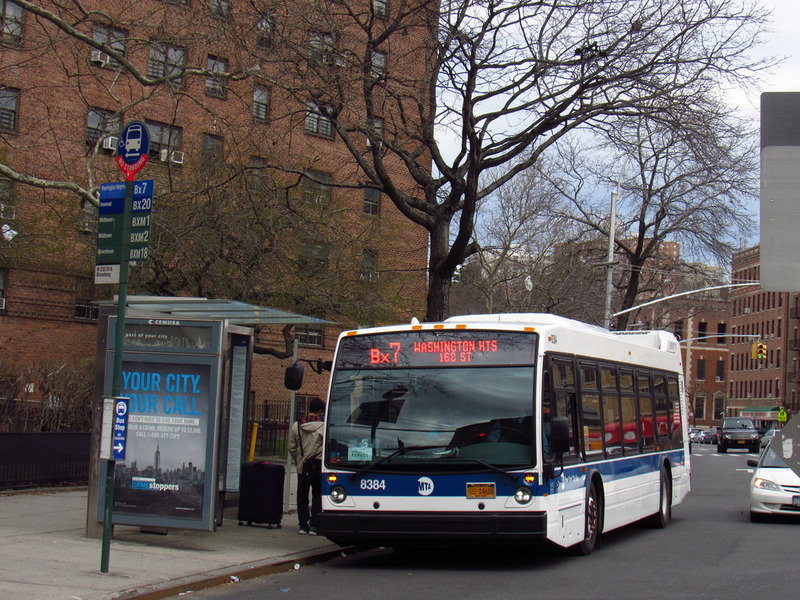 The third one runs between 168 St and either 137 or 96 St via Broadway. He's just asking why is the 1 shuttle set up like this during the weekend service changes. Some of the 1996 RTS' were used as shuttles for the 1996 summer olympics in Atlanta before they were delivered to NYC. That's the same with a lot of the former Quill SBS units. The unwrapping process might of been rushed because the buses looked rough when the wraps came off the 5200's and 5900's at Quill, Tuskegee, and the Bronx. The scenario you mentioned is similar to the majority of the the unwrapped SBS units (missing number decals). Some in The Bronx came off way worse, like how the blue stripe of 5968 came off entirely once the SBS wrap was taken off. 5285-86 are back at Quill. It was at ENY since April. Its on the Q15A right now, so that unit was most likely there for one of the school runs on one of the QV routes. 5574 is back in service. 5973-5976, 5978 unwrapped from SBS wrap. 5975-5976 MQ to 100 St.
7345-46 unwrapped from SBS service. 5695 is back at KB on the Bx9. Side note: 5687 is at WF (Maybe on loan, but I'm not sure). 5582 KB to GH. 5680 KB to WF. Isn't it the other way around? 5300 was a Quill unit. 5178, 5189 GA to ENY. 5548, 5594 MQ to WF. 5535 & 5593 MQ to WF. Some of those loaned units usually stay there for a few days, not just for rush hour service. West Farms had a few Gun Hill units running for like two or three days not too long ago. A lot of those got a new patch to display the destination on the signs again. 1202 repainted. 6103, 6113 are wrapped in the SBS scheme.